LAFAYETTE, CO. - The Defending Champion Men's Eagles are ready to start a new season at the 2018 Americas Rugby Championship (ARC) where they'll begin their title defense with three consecutive home matches in California, starting Feb. 3. Head Coach Gary Gold announces a traveling roster which includes 18 returning players from the 2017 ARC. Tickets for all three home contests against Argentina XV (Feb. 3), rival Canada (Feb. 10) and Chile (Feb. 17) are on sale now and available by visiting USARugby.org/tickets. The Eagles make a return to the pitch after ending their 2017 season with an overall record of 6-2-3 (W-D-L) and a position of No. 17 in the World Rugby Rankings. An impressive run in the previous season saw the United States clinch their first ARC Championship title, seal a victory against Canada to secure their place at the 2019 World Cup in Japan and finish just 1-point shy of a November test series sweep with an almost upset of No. 12 Georgia. "I think we have an exciting group of players who are keen to perform at the ARC and put themselves forward as strong options for the program moving forward." said Head Coach Gary Gold, describing his excitement surrounding this squad. The 39-man squad for the upcoming 5-match tournament is highlighted by players who will allow USA to soar into its new season with momentum. Fullback Mike Te'o makes his 2018 debut having started all 11 games last season, accounting for a total of 25 points including a hat trick he earned against Canada during the 2017 ARC. Scrumhalf Shaun Davies joins Te'o, owning 23 points in his 9 starts from last year, helping his squad to a well earned 42-17 victory over Germany with his two tries this past November. Wing Ryan Matyas rounds out the scoring bunch with his 15 total points in 7 starts, adding to the dynamic threat the growing squad will make against the upcoming competition. Blaine Scully picks up as Captain from the November tests as new Head Coach Gary Gold and the Men's Eagles attempt to make another undefeated run in the 2018 Americas Rugby Championship. "I'm sure the other teams see an opportunity to upset us," concluded Gold, "that added pressure will make our planning and preparation even more vital." 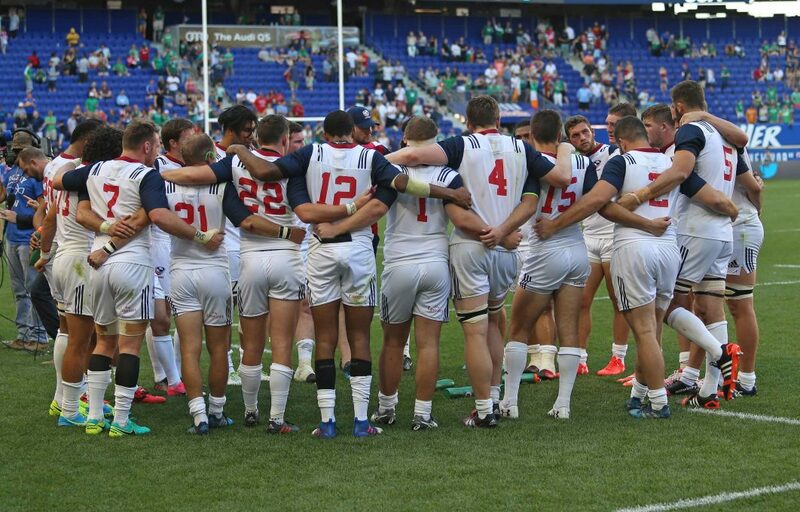 Now full-time with USA Rugby, Head Coach Gary Gold is prepared to hit the ground running; with a precise assessment of the team's training approach ahead of competition. "We will focus on the strengths of the team and the areas that we believe are the most critical in terms of allowing us to improve as a squad," said Gold. "At this stage, we really need to have a precise focus on the improved performance of the team and allowing our players the opportunity to gain critical experience." The Eagles will begin training for the upcoming tournament January 24th in Chula Vista, California. Their first contest of the 2018 season, against Argentina XV on Feb. 3, will serve as the second match of International Rugby Saturday preceded by the first Super Rugby contest in the United States between the DHL Stormers and Vodacom Bulls. Tickets for USA's three home matches of the 2018 ARC are available for purchase by visiting USARugby.org/tickets while the full tournament will be featured LIVE on The Rugby Channel. I'm sure the other teams see an opportunity to upset us. That added pressure will make our planning and preparation even more vital.